One of very fascinating thing is happening on the internet, the IOT (Internet of Things). This is really the basic concept for all of our smart gadgets. If you really think about it, out good old line telephone was an internet of things, so were our beeper, blackberries, door bell, surveillance camera, … What has been lacking is some type of standard that tie them together and make them more accessible and collaborative. This is when the concept of IOT comes in, the Internet Of Things. They are essentially a thing that is addressable in the internet that can send or accept messages (or command), and can also perform some action, and in some cases, a mechanical action, like opening a door lock, or turning on the washing machine. Amazing thing happens once you can connect the dots between them and apply some rules that will change or coordinate their behaviors. Many companies are embracing IOT and offer turn keys solutions that make it easier to launch your IOT. 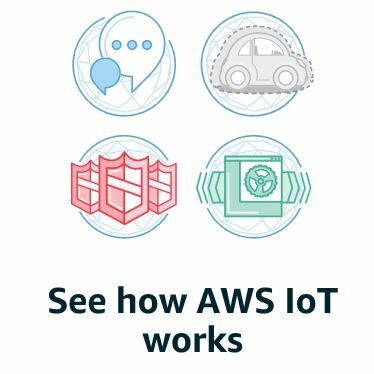 Here is a very basic overview for IOT from the AWS (Amazon Web Service) cloud. Case study 1: A simple a straight forward implementation. There are 3 button on the controller matching the 3 colors for the bulb. Depending on which button the user click, a command is sent to the light bulb to turn to that color. If the user click the red button, the light will turn red. Case Study 2: Add a rule engine to the Device Gateway. A rule engine can add logic to additional processing based on the user action from the controller. 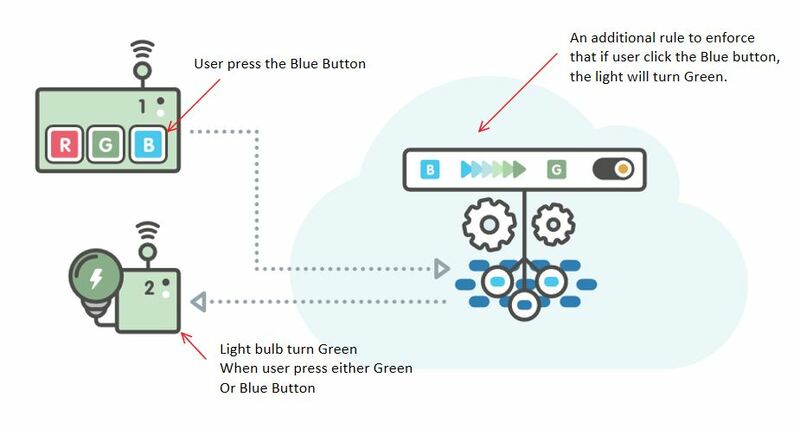 The simple illustration here show that a rule is added so that if user click the Blue button, the light will turn Green. This particular example will probably confuse the user quite a bit, and he gets an unexpected result. It is to illustrate the concept of a rule engine, and you can apply any logic that will fit your requirement. 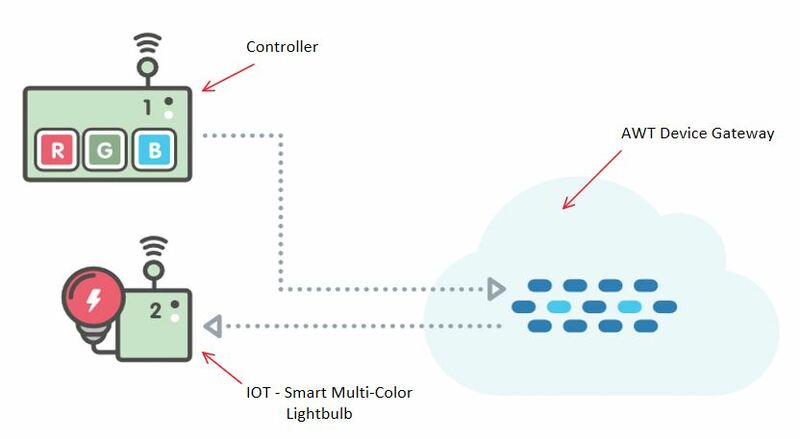 I hope that these simple case studies here will highlight the layers of functionalities you can add on to your IOT, and structure them in a way that you can turn on and off rules for your specific use case, and also great to QA testing. Credit: Some images used in this article are illustrated from the AWS’s self paced tutorials publicly available. Previous Article Previous Article: What is AWS Multi-Factor Authentication? Next Article Next Article: Ready to make your home smarter?